← Can We Really Flip the Switch? by Susannah Carson, author of A Truth Universally Acknowledged: 33 Great Writers on Why We Read Jane Austen (Random House, 2009). But ever since that snippet of conversation I’ve been turning the topic over and over. Is it simply a devout preference? Or is it also a fact of literary history? First, “our time.” We can parse that all sorts of ways, but let’s assume that “our” presupposes the Western Tradition and “time” dates from the end of the eighteenth century, when destiny became increasingly a matter of personal character: of manners, morals, and will. In other traditions (The Tale of Genji), in other times (the Aithiopika), novels portray a different sort of individual in a world full of different challenges and opportunities. Next, “best novel.” That’s even trickier. It’s best not to stare at the word “novel” too closely for fear of falling into a bottomless debate about genre. Let’s go with the simple heuristic definition of “a long prose narrative.” We might still quibble about the details, but for the most part we all know a novel when we read one. Austen wrote six novels: Sense and Sensibility, Pride and Prejudice, Emma, Mansfield Park, Persuasion, and the borderline-parody Northanger Abbey. Love and Friendship and Lady Susan, it has long since been decided, are just too short. But the definition of “long prose narrative” will only tell us how to decide if a novel is indeed a novel; it won’t tell us if the novel is any good. Novels, we assume, are artistic creations, and therefore immune to anything stronger than purely subjective opinion. “I liked it.” “Well, I didn’t.” End of debate. Really, what more is there to say? Usually we feel it’s best to just back down, to agree to disagree. To insist there’s some objective truth backing our preference seems at the very least uncivil. At the most, it rings out as a battle cry. “I liked it. It’s a good novel. In fact, it’s the best novel ever written.” We can almost hear the sword swishing clear of its scabbard. “I hated it. It’s disgrace to the written word.” Clang, clash, etc. How thrilling! So these might be fightin’ words, but I do believe that some novels are indeed good, and that Jane Austen’s are the best. Austen is the best novelist because we continue to read her. Women and men, young and old, scholars and those who read for fun. We read her in school, on the bus, at work, on vacation at the beach. We read her in translation, on Kindle, in gorgeously illustrated hard-bound copies. We read her alone, for solace; we discuss her at book clubs, for belonging. We read her and then re-read her. And then re-read her. And this frenzy of reading has been going on for two hundred years. And we don’t just pick up one of her novels, flip through its pages, put it down, and get on with our lives. Rather, we allow ourselves to be changed. Sometimes, we even search out her novels in the very hope that they will change us. We think that they’ll make us better people, somehow—that they’ll help us turn into the people we want to be. Sometimes that means we want to become more self-aware, more attuned to our own emotions, and more wary of our tendency to deceive ourselves (Alain de Botton). Sometimes we want more than simple awareness: we want real, solid lessons on how to become more “moral” (James Collins, C. S. Lewis), or on how to lead “the good life” (Louis Auchincloss). Sometimes we want to learn how to interact with other people: how to interpret what other people say and make ourselves understood (Benjamin Nugent). If we’re writers, then we study Austen to learn how to craft sentences, how to weigh sentiment, how to weave themes (Diane Johnson, Margot Livesey, David Lodge). Sometimes we look to Austen’s heroes and heroines for different models of gender. In our unisex times, her portraits of men being men and women being women are especially intriguing. Sometimes we enter Austen’s elegant world to learn more about it, sometimes simply to escape our own (Ian Watt, Lionel Trilling, John Wiltshire). And sometimes we step in to learn how to laugh (Eudora Welty, Eva Brann, Amy Heckerling). Sometimes we read Austen because we want to figure out how love works: how to earn respect, and how to bestow it. We turn to Austen to find out what the mutual exchange of esteem looks like (Harold Bloom). Although Austen’s novels all end happily ever after, they’re anything but cookie-cutter romances. They’re about men and women who, at the beginnings of their stories, are somehow not open to love. They’ve managed to get in the way of their own happiness, whether because they’re too witty, proud, reserved, bitter, wild, imaginative, staid, or self-involved. Throughout the course of the novel, they then learn whatever it is they need to learn about themselves and how to relate to others: how to be compassionate, steadfast, hopeful. And for this, Austen rewards them with the love of the one person in their world worthy of them. So although in form these are stories about love, in essence they are stories about self-discovery. There are elements of these lessons about life and love Austen in almost every modern love story, for we also get Austen indirectly from authors and filmmakers who have read Austen—or who have read others who have read Austen. She’s present every time sparks fly between a spirited heroine and a stuffed-up hero (You’ve Got Mail, What Women Want, and of course Bridget Jones’s Diary). Every time a matchmaker ends up matched (Amélie, Clueless, Cold Comfort Farm). Every time a quiet, hopeful heroine beyond her first bloom finds love (Moonstruck, My Big Fat Greek Wedding, As Good As It Gets), or two lovers get a second chance (Love Affair, Philadelphia Story). Austen influenced what we expect out of a love story, as well as what we long for most in love. Can Jane Austen’s novels be considered the best novels of our time. I say “yes”. And maybe it is a preference after all. But, if it is, it’s a preference shared by so very many readers, viewers, writers, and simple lovers over the course of the last two hundred years that this cultish preference has become an astonishing phenomenon of literary history. Of all the novels of our time, Austen’s sacred six have had the greatest impact on how we live and love today. 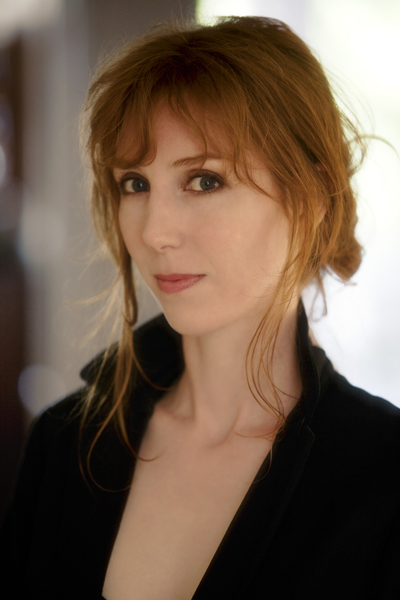 Susannah Carson is a doctoral candidate in French at Yale University. Her previous degrees include an M.Phil from the Sorbonne Paris III, as well as MAs from the Université Lyon II and San Francisco State University. She has lectured on various topics of English and French literature at Oxford, the University of Glasgow, Yale, Harvard, Concordia, and Boston University. “We continute to read her” and “We allow ourselves to be changed” can apply to other long prose authors in the Western tradition since the 18th century (I think of Tolstoy and Dostoievsky, for example), but I agree Austen is one of the greats, and Carson’s essay certainly lists good reasons for saying so! My first encounter with Jane Austen came my junior year when I read Pride and Prejudice. Elizabeth Bennet is one of the best female characters in all of literature. Now in my 20’s I find that I allude to Austen at times. She will forever be one of my favs. The truly sad thing about Austen was the terrible aridity of her actual life. It may well be that her books served as escapist fantasies for her, or at least one hopes that this was the case. Today, of course, December 16, is her birthday.